In one corner of the Northeast Kingdom, about an hour and a half’s drive from our place in Guildhall, there’s a remarkable (and successful!) experiment in the making of ice cider. 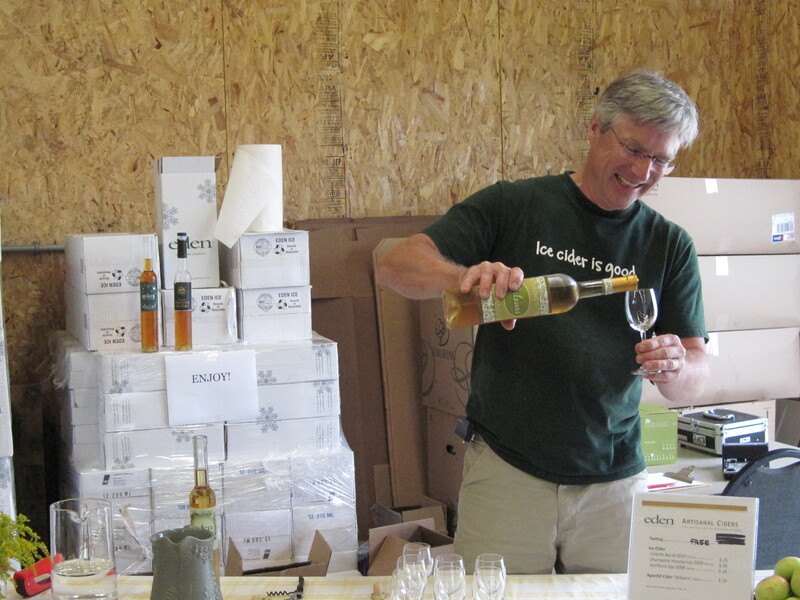 Yes, ice cider, an elegant variant of dessert wine, fermented from Vermont apples over years. I got my first tantalizing taste of the Eden Ice Cider when we found it for sale at the Littleton, New Hampshire Food Coop. 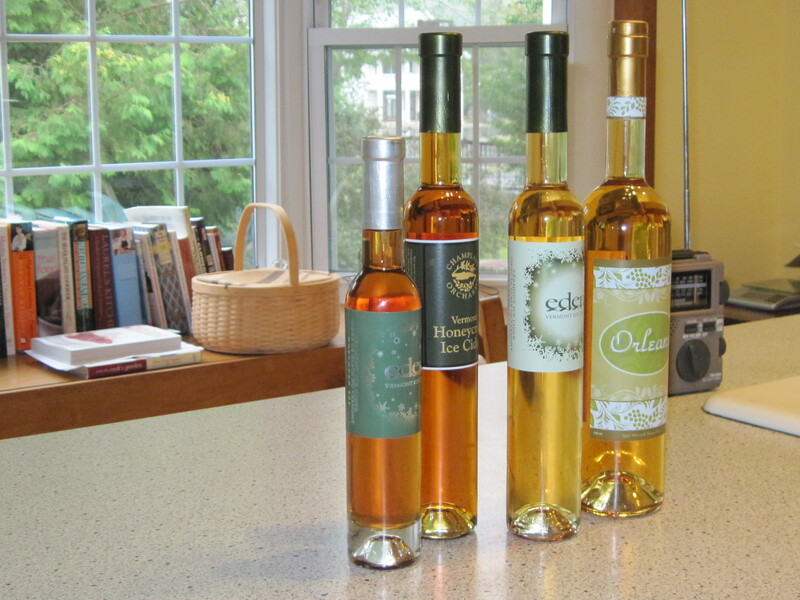 (I later learned that Eden Ice Cider is available at almost all the fine restaurants in Vermont, as well as one in New York City.) So this weekend, we made the trek up to the source, for a tasting and tour. Albert and Elinor Leger bought this old dairy farm in West Charleston and moved here from the New Haven, Connecticut area about five years ago. Their ice cider brainstorm took place after a visit to Montreal. I won’t delve into the details and history of the operation, which has been well-covered in a recent Vermont Life Magazine article. But I’m proud and pleased to see this entrepreneurial accomplishment here in the Northeast Kingdom. And we came home with some bottles of our own. My favorite is Eden’s latest product, named “Orleans,” after the county where the farm is located. It’s an ice cider with a touch of anise hyssop and basil. Wow! Visit the Eden Ice Company website, and then visit in person, with an appointment. It’s a great Northeast Kingdom treat! Previous Article What’s Brewing in Essex County, Vermont?